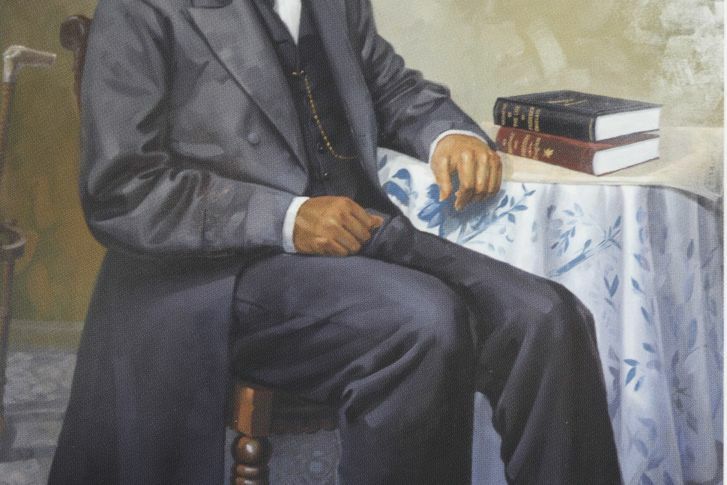 Work is underway on bronze statues that will depict the abolitionists in the mid-1860s, in the same room where the legislature adopted the Maryland Constitution of 1864, which abolished slavery in the state. Elaine Rice Bachmann, deputy state archivist, said future visitors to the State House will meet Douglass and Tubman in the Old House Chamber similar to the experience of “encountering” George Washington in the Old Senate Chamber. A new exhibit will interpret what the abolition of slavery meant to Tubman and Douglass, Bachmann said. Maryland has a checkered history on the Reconstruction Amendments, passing the 13th Amendment to abolish slavery after first passing a “shadow” amendment three years earlier that would have barred the federal government from abolishing slavery. The 14th Amendment – which granted citizenship to former slaves and equal protection under the law – and the 15th Amendment, to ensure the rights of black men to vote, were actively rejected by the state legislature when they were first introduced, only to be symbolically embraced generations later (in 1959 for the 14th and in 1973 for the 15th). Senate President Thomas V. Mike Miller Jr. (D-Calvert), an avid historian who lamented the slow process of having the statues installed last week, said showing that history in the State House is important. Bachmann met with Miller earlier this month to explain delays with the project and assure him that things were moving forward. Bachmann said part of the delay was due to the state purchasing rules requiring justification for sole-source contracts. The Board of Public Works is scheduled to consider a contract for the overall project, which is expected to cost about $575,477, on Wednesday. The new target date for the unveiling of the statues and new exhibits is early 2020. The development of the figures is now underway by New York-based StudioEIS, which created the Old Senate Chamber statue of George Washington resigning his commission as commander-in-chief of the Continental Army, which took place in the historic chamber in 1783. Like the Washington statue, the Tubman and Douglass statues will be lifelike and life-sized depictions of the abolitionists. The sculptors will have a wealth of historical references to create the statue of Douglass, who is said to be the most photographed 19th-century American. The Tubman statue will be based on a recently discovered photo of her as a young woman, seated and wearing a long dress, Bachmann said. Douglass, in a visit to the State House in 1874, saw a painting of Washington resigning his commission and, “walking to and fro in front of it, repeated audibly and with all the force and pathos of his oratorical powers, the General’s eloquent and touching address,” according to an account in The Maryland Republican and State Capital Advertiser. Miller talked about that moment last week and what the Douglass statue could mean to future students visiting the State House. “It’s good to see somebody who looks like you here in the chambers as well. Frederick Douglass was here. He stood in the Senate chamber and gave the same speech George Washington gave,” Miller said. But Douglass delivered the message by memory, while Washington used notes, the Senate president added. A bill poised to pass the Senate this week could speed the process for sole-source bids for such projects in the future. Senate Bill 27 would exempt the acquisition of fine or decorative art by the Maryland State Archives from the state’s procurement rules, making it easier to pursue things like a no-bid contract for items like the Tubman and Douglass statues. Bachmann said Senate Bill 27 was not prompted by the acquisition of the statues, but would have helped the process move more quickly. The bill expands upon legislation passed in 2017 that exempted other activities by the Archives ― such as contracting for preservation, conservation, care, restoration, and transportation of the state’s artistic property. The state has been acquiring art since 1781, when the General Assembly commissioned Charles Willson Peale to paint a full-length portrait of George Washington, which currently hangs in the State House.